DESPITE the absence of evidence of any significant move being made to topple Theresa, her leadership rivals have been busy throwing heir hats into the ring, some more overtly than others. Hard on the the heels of Sajid David, the ‘I could have gone wrong too’ candidate, Boris Johnson, the ‘I am the Brexchosis healer’ candidate and Jeremy Hunt, the ‘I’ll buttress Theresa May until her worse-than-BRINO is agreed’ candidate, we have Amber Rudd, nothing if not forthright, now saying it is entirely possible she will run. Bad luck for Boris if he thought he might mend the party by running on a ‘Bamber’ ticket with her. Though I somewhat doubt that, if it came to it, she’d find any room in the Cabinet for a man she deemed it unsafe to be in the back of a cab with. This is the level of farce to which Tory politics is descending. Quite how the bossy WI ‘equalities chief’ candidate (like Boris, also once ridiculously branded a Nazi by the loose-tongued Left) thinks she will survive the next election, even if her party does, is a mystery. You wouldn’t think her fervent remainer commitment and tiny (346) majority in her Hastings and Rye constituency would stand her in very good stead. But hubris is the norm, if not the byword, for would-be Tory leaders these days. Elevated once more to high office, despite her incompetence at the Home Office over Windrush when she was revealed to be unaware of the performance indicators, the civil service language for targets, for deportations, Rudd does not inspire confidence. Even the lowliest policy researcher knows that such indicators have been a defining feature of the government’s policy management since the pro-active ‘roll outs’ of Tony Blair’s Number Ten days. Apology, she must think, suffices. Please help to publicise and share this petition. 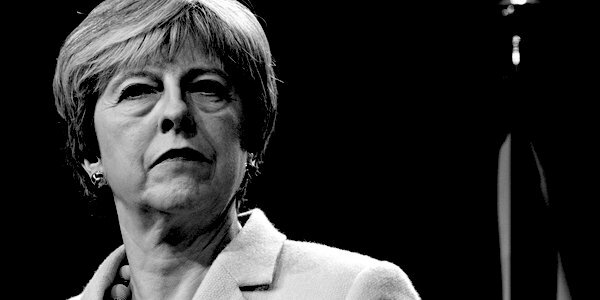 Theresa May is the biggest disaster in recent times to happen to the Conservative party. She has to take responsibility for the direction the party is going in as the prime minister. For various reasons, not just Brexit, we have to have her removed ASAP. As such I ask you to share this petition with party members. Here at TCW we continue to count the days till her contenders finally tell Theresa to her face it is time to go and topple her. Today is Day 13 . . . Previous articleIs keeping immigration promises too much to expect?